Many people in our region do not own cars and ride bicycles out of necessity, making riding at night an unavoidable reality. 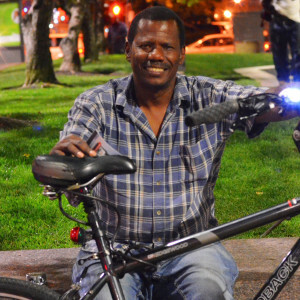 A major safety concern we have in Cleveland is people on bikes riding around at night without adequate on-board lights. One reason for this is that quality light sets and their replacement batteries can be expensive, and for a person on a limited income, bike lights may not be a priority….so we’re making it one of ours. While overhead street lights may be enough for the riders to see where they are going, an unlit bicycle is practically invisible to people in cars at night. 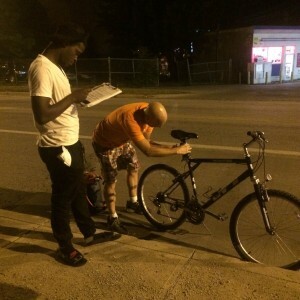 Moreover, it is against the law to ride a bicycle at night without lights. According to the Ohio Revised Code, bicycles must have a white front light and red tail light visible from at least 500 feet. 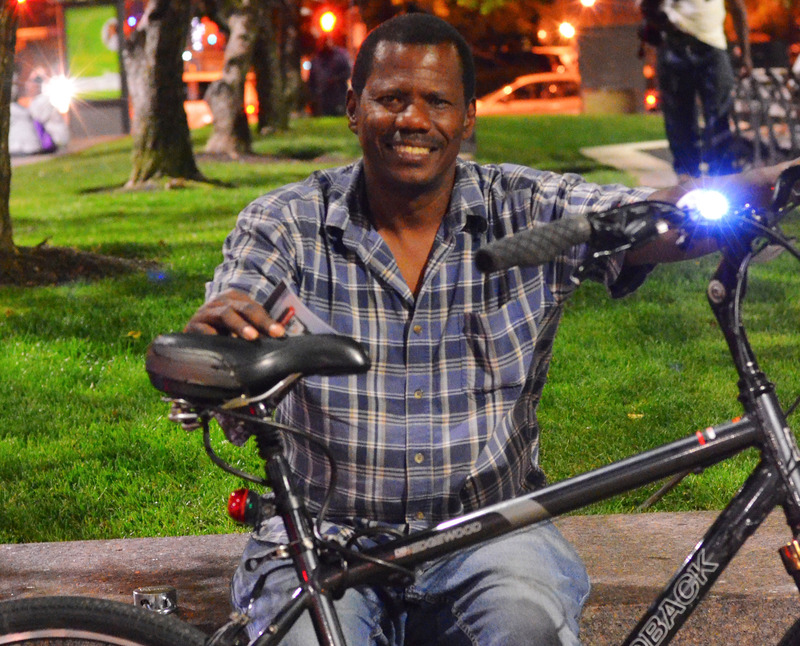 In an effort to address this, Bike Cleveland members and volunteers take to the streets several times a year equipped with hundreds of free bike lights to give away to unlit riders. We cover neighborhoods such as Ohio City, Detroit Shoreway, Central, St. Clair Superior, Midtown, Clark-Fulton, Downtown, and Tremont. To date, we have given away over 1000 light sets to people in the community, helping to make their evening commute safer and more enjoyable. 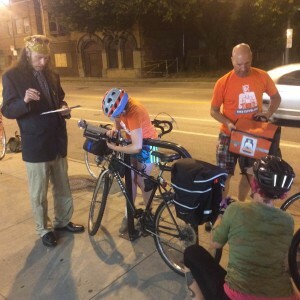 While installing the lights, we make sure to educate the riders on pertinent laws, and gather useful data using our rider surveys. Stay tuned for the next Random Acts of Brightness event and get involved! It’s one of our most popular volunteer events and a ton of fun!